This is Fred speaking. Thank you once again for being with us here in the Temple. It is a very exciting week with the onset of Easter, but not just Easter, is the Festival of the Christ which is representative of the Christ Consciousness. I believe tonight is going to be a very special occasion for everyone. Thank you for inviting all these Souls, coming into the Temple, because more and more Beings are being healed with the Essence they are bringing into the Temple. They are bringing different aspects continually so we do have a conglomeration of energies that are so representative of the Oneness that you are incorporating upon the Earth Plane, and it is a very exciting time for each of us to experience these Frequencies here within the Temple. Continually bring forth those requests into the Temple as we help to heal, not only Earth, but all Frequencies of Light. It is our pleasure to be with you. Once again, we come to you in a Group Consciousness representing the continuation of the Christ Within, upon this Planet, and the Christ Within in each of you. We express to you in these moments, the ability to fully focus upon what it is that each of us needs to aspire to, in the Elements that are being brought forth. So we have decided to just introduce ourselves in a Consciousness effort, to fully express to each of you, that we honor you deeply and know that each of you are going through great challenges upon this Earth but you’re bringing such Light Frequencies within yourself and around you that is assisting more souls then you can ever imagine. We come from the Consciousness of Lord Buddha, Lord Melchizedek, Sanat Kumara, Lord Metatron, the Frequencies of the 352 Levels of initiations of the Mahatma, of all races, not just the Christian religion at this time for the Resurrection – we are actually bringing in a Consciousness of all religions that have ever existed upon the Earth that are fully in Oneness – this does not mean there are any egos. There are no Pantheons, so each of you may feel a different aspect coming forth in these moments but we will speak from one voice. We want each of you to just take a breath and to feel the Essence of all these different levels of understanding that are going to be coming within the Temple in the next few moments. We Are One Together and, within this Oneness, there is the ability to fully understand that in the beginning, all was revealed ~ for eons of time to be fully incorporated unto the Lands of the Earth. We are now coming at a time when great changes are about to result and these changes are due to the effect each of you being in body in this lifetime. We come to you from all the Races of the indigenous Peoples. We come from the Energies of Christianity, the Energies of all the Great Races, of the Great Masters that have walked this Earth. We come to you in all those Elements that have helped to mold the Earth. We are coming at a time when the churches will come together, when the thought forms will come together in those receptive values will come into the Oneness and each of you are embodying that. So we come to you in the Essence of the Hindu’s, and the Israelies; we come to you from all Races of Asia, of Jerusalem, races of all Lands in the Americas, all Lands in Europe, Africa, all Frequencies of Light coming into Oneness in these moments. Just feel that Frequency, that is being embodied in these moments, to assist in the continuity of your Soul’s Essence -and many of you have lived all of these lifetimes at one time or another. Allow those Frequencies to be within you, of all the timelines that are necessary for you to incorporate within your Being. That is the beauty of what is occurring in this moment. I have been honored by all these Peoples and Cultures to speak for The One, as I Am the Planetary Logos. I Am Lord Buddha and it was at the request of many, that I chose to speak this evening, to assist all to have the realization that each of us is in the continuation of life that you call Oneness- we call the Source and All That Is. There is no other pathway to choose in these moments except to fully bring in the incorporation of the Essence of your Being in complete unity that you are. Many have shared with you, through this voice, that timelines are being removed to assist in the process of your continuation of life and we have chosen to use her voice in this way to assist everyone to understand their own voice. This is the ability to fully feel the continuation of your soul’s existence, within the physical realm. We are living a life, in this year 2012, as none other has ever been. Remembrances are the name of the game. The veil of forgetfulness has been removed, and if it hasn’t, utilize that timeline to fully remove it. Express yourself unto the Divinity that you are. Some of you may not understand what that means but just allow it to come within you and have acceptance is the first process to begin. So how could I not, as the Planetary Logos, show my voice this evening as I do represent all the Cultures that have ever lived upon this Earth. Let us not think of me, in this moment, of the life that I led as Lord Buddha or as Buddha. Think of me of the Over-Seer of the Planet, representing all Cultures, all religions, all aspects. What better way to say it within each of our thoughts, our minds and our voices but the truth of Oneness. So these Elements of this week are very important and there’s more importance in the Frequency, in the Vibrations, then in the truth of the words. I could speak to you for a very long time and give you theories of truth. We’ve all heard those truths. What we haven’t fully done is to accept them within our physicality. This is what we bring unto each of you this evening. What better place to have it in, then in this Temple – that represents new beginnings and renewal, as each of you are experiencing these Elements within yourself? As one that is over-seeing the Planetary structure, I watch and I listen and I hear the voices of the many trying to express unto themselves the ability to move through these challenges but not knowing how to do so. There is great duality upon the Planet but there is great Light also. And there is more Light coming into the Planet, not only from the Planetary positions and the Frequency of Light, and the assistance of many levels of Planetary form in the Cosmos coming fully into this Planetary structure, but each of you. Each of you stand within this Temple to allow yourself to fully remember and to say prayers for other individuals that you know, that you hear of, that you express – into the Frequency of what this Temple means. It is my honor to share with you in these moments, that when one walks through these doors, as a lost Soul, and finds themselves – the camaraderie and continuity of connectiveness that a Soul feels, is beyond the measure that anyone of you could experience in a Physical Essence. I express unto you and everyone, we are making a special requirement for the Temple of 911 and for all souls, that each soul that fully wants to be in complete Oneness and to be able to accelerate that Oneness within their Essence and to share that with others – whether that be within body or out of body, on the Inner Plane level – in the matter of their initiations, it will be a requirement of every soul to walk through these doorways. Whether you walk through these doorways as each of you are doing, in the physical essence, or the ones that you are inviting to come into the Temple – there is now a Council of Light associated with the Temple of 911. I share all this information as it has just been decreed for this to be, as it is a powerhouse of many. The Frequency of Light that is being activated within the Temple is beyond any measure or circumstance. We keep this Temple within the Multi-Universal level but there are doorways on all the other Dimensions that souls can reach into the Temple. Our goal is to put the Temple into the 144th Dimension, but that cannot be so at this time, because then there would be souls that could not reach that Frequency. Archangel Michael has ordained certain souls to assist others on various levels for them to walk into this Temple of Oneness. It truly is a beautiful event that is occurring and this is a re-birth for the Temple itself. I share with each of you that it is due to your diligence and your work that this event can occur in this manner. So how can we not include all Indigenous Races, all Races, all Cultures? As we breathe deeply, let us bring in the Golden Ray. Feel that Golden Ray infiltrating through the entire Temple Essence, as it is going to assist every Soul and every Being to infiltrate the Christ Consciousness, within their Essence. I ask of you to center upon, within yourself, any areas that may seem weaker then others. You may feel this in a physical sensation. You may know what chakra it may be. If you have pain within the joints, it is a direct reflection of unconnectiveness that is going on within your system which means that the physical system is not connecting to the Etheric system. I share these Elements to help each of you intuit, within yourself, where it is you are having the weakest energy and that is the energy that needs to be transformed. So we’re going to use the Golden Ray this evening. Within the Golden Ray, we’re going to infiltrate sparkles of many different Lights of colors – in Reds and Greens and Blues, Yellows and Whites and Silvers, Violet – because of what we are incorporating within this, Pearlescent and Blue. We are incorporating all the Rays, up to the 12th Ray – which is the Christ within, which is the Heart Center ~ the Heart Center being the Balance of the Masculine and the Feminine Divine. So as we center upon this area and allow this Ray to filter into any part of your Being, start to feel where it may be going in other parts of your body. You may feel Elements within your Throat, you may feel Elements in your Solar Plexus. If you have issues in your lower limbs, it’s a direct result of a grounding issue. What is the most appropriate Element in those Frequencies is water – water going through the body and outside of the body. It’s very effective to fully feel those Essences, even watching a stream or a body of water flowing or the ocean in that Frequency. If some of you are not sure where to be centered upon – just allow the Golden Ray right now to filter within you. First it blends into your Heart Center and it spins in a spiraling motion, clockwise – and it’s going to spin a larger dome of Frequency. As it does, it’s going to go beyond the Heart, so it’s spiraling clockwise, so it’s going to create a circumference of Light, from the Heart going toward the lower limbs and the upper body, encompassing your arms and your fingertips. Eventually, as it’s spinning now outwardly, beyond all chakras – it’s going to go through you and go out beyond you. So it’s in front of you and back of you, then eventually, as we get to the feet and the head, it’s going to blend to the Soul Star and the Earth star and blend into the Etheric body. We’re going to center right within the Etheric Element tonight – of the cellular memory. Allowing the cellular memory to be fully cleared and processed. Cleared and processed, cleared and processed with the Golden Flame. We’re going to run the Bowl as the Frequency continues. Still see it moving in a clockwise manner around your feet, up towards your Crown and back down again. It’s getting larger and larger – now it’s going deeper into that Etheric Body -the Cellular Memory. It’s going to turn all those thoughts and processes and timelines that are stuck, into the Golden Ray Frequency. Blending all 12 Frequencies of the Rays in the Planetary and the Cosmic, so you could have Red, Violet, Indigo, Blue, Yellow, Orange, White Light, Crystalline Light, deep Purple, Ruby Red, Pink, Blue, more White Light with flecks of Green and Gold, Yellow White Light, Sea Foam Green, Blue- Green, Pearlescent, Pink Orange and then that makes up the Golden Ray. All those aspects – feel that blending within you. Allow yourself to receive exactly what you need. Now feel the Golden Hues of this Ray incorporating within you sealing up the timelines that have been lost, sealing up any memories – allowing any old Elements to be fully removed, through the Golden Ray. The reason that the Golden Ray is so transformative and incorporating is, because it emcompasses all these other colors – so it is a direct reflection of all the other Rays of God, that you incorporate it within your Being. So it is a mixture as you feel a warmth occurring within your Heart. Allow the warmth to fully continue through your Being as you just receive the Energies of the Vibration. Breathing deeply – allow this Vibration of many Spheres of Dimensions to fully incorporate within your Being of Light. You should now feel the Essence of the Christ within you, more deeply then you ever have previously. There are many doorways opening up with the Resurrection of this week. If you allow yourself to put aside your Mind, as has been discussed before and just receive the Frequency – your Higher Self will allow the frequencies to be intuited within you. When you put your Mind ahead, you are using your Lower Ego. So I ask of you in the next couple of days, to just allow this Frequency to come within you and to receive the Essence without thinking about it. Your Higher Essence of your Higher Mind will know exactly how to interpret it and you will interpret it at a different level of understanding then you would have with the Lower Mind in place. So we put forth a special dispensation for everyone in this moment. We allow everyone’s Lower Ego to be put into full Wholeness, into the Frequency of the Light of the 144th Dimension but also for the God Force of the Cosmic Energies, Multi-Universal, Universal, Galactic, Solar and the Earth Energies – to combine into the one Frequency of The One, within each of your bodies. Allow yourself to filter this within you. You may not hold on to it for a very long time because your lower Mind will try to fgure out what is occurring but you must not let the analyzation to occur within you, because when you allow the analysis to occur, that is when you stop the Frequency of this Ray within your Being. Think how beautiful it would be upon the Earth in this moment for every human being to feel this Frequency. The animals Frequency, but they mirror each of you, so there can be conflictions or there can be non-communicative moments because as each of you bring forth these Frequencies unto you, you create the New Earth. As you create the New Earth, wildlife will accept it because the Frequency of the New Earth is being intertwined within the old Earth. As this occurs, there is the confliction between species – as there has been confliction between humans. But please understand this, you cannot do this with your Mind. If you think that you are in love – and can bring forth that love through others, that works for a while but, if you don’t fully internalize it within your physical existence, you cannot hold on to it. This is where the conflictions result. But every moment that we can sit, in the silence, and feel the Vibration of the 12th Ray come fully within your Being, you will resurrect all the old Elements within those timelines that truly want to stop you because they don’t know how to exist in any other way. So we express into you, in these moments, this Frequency of Light, this Vibration, this Element of Movement through your entire Essence – Breathing deeply through that. We now will run the Bowl and we take a moment to allow this Frequency to go through each of you physically and onto the Earth Plane. We bring forth this Special Dispensation:- I, Lord Buddha, as the Planetary Logos, fully activate each living Being that is listening, incorporating these Frequencies of Light unto themselves, to permeate out through in a 100 mile radius. Not through words, but feelings of vibration, very soft vibration – not like a strike of lightening but fully just allowing yourself to be in the sunlight. Put your arms out unto the Sun as Dearest Grandfather shines unto you the ability to bring forth the Christ within. First, within your Heart and then through all the sensations of Light. Feel the Golden Light permeating through your entire Being. Feel it moving out of you. Feel this Frequency. This is the Frequency that you will incorporate for the next month. Allow yourself to permeate within your Being – as you do so, you will remove the old timelines. It is just allowing it to be for you to accept this Frequency of Light within you because it is time. It is your time. It is your time. As you assist yourself, you will assist the Earth. So I ask of you just to take the breaths of the Golden Flame within you every day. Feel that Frequency of Light beaming through you and hear the vibration that has been shown to you this evening. Permeate this to all the Souls upon the Earth, to all the living organisms, to the Land and to animals – especially the wild animals, to help them feel the Christ within them and to see that Frequency deeply within your Essence. Feel the Essence within the Temple as we permeate these Frequencies of Light that make up all the 12 Rays of God, so it is in Balance of all Elements – of Harmony, Transmutation, Devotion, Christ within , Active Intelligence, Vibratory Communication, Love & Wisdom, Scientific Knowledge, all these Elements all blend together. Higher Cleansing; Universal Oneness; The Bridge to the New Age; the Deepness flowing within each of us in the complete Oneness that we are. It is my pleasure to share with you this activation and the ability to fully tune in to the Frequency that you are. Every time that you do this, you will see that your Soul will shift into another Higher Frequency. This is going to be very helpful for the Wesak Energies this year. 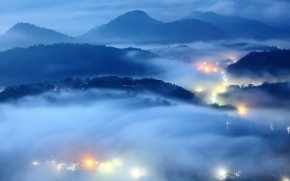 Please know that, when we say that Wesak is going to be the most powerful that it has ever been, it’s because the frequencies coming down onto the Earth Plane are of the Highest Level. Incorporating this Frequency first is giving you the basis of your Structure and will allow you to fully activate more Essences of your I Am Presence into this Physical Body. I thank you for being an Initiate upon this pathway of the Spiritual Hierarchy of Mastership and having the remembrance within your Being that you are more then you thought you were. As we all stand in Unison, in the Presence of the Oneness. I am Lord Buddha, the Planetary Logos,at your deep service. Namaste. This is Fred speaking – I have no words and I think that’s what tonight was about so will share my Essence unto you and thank everyone of you for being here with us. I thank Lord Buddha and I thank the Council for the Temple of Oneness fully being with us this evening. Namaste. I am the spokes-Being for the Clarion Temple of 911 and beyond, Unified in Oneness. This is Fred speaking. It is a pleasure to be with each of you once again. It feels like it’s been a long time since we gathered in this way and we’re really excited to be meeting with you this evening. Yes, there are preparations being made for this month to assist the planet as much as possible. But tonight we want to embrace within each of you the preparations that are necessary, for you personally, to acquire within yourselves the ability to fully activate these energies that are coming – through the Essences, the Beingness and the frequency of Light that is part of each of you, to assist the planet as much as possible. I think it’s a wonderful idea that Christine has brought forward, to concentrate on different areas as it becomes available of what may be happening through predictions. As we know, predictions do not have to come true at the degree that is necessary. So just to recap a little bit, of the Solar Storms, of the asteroids and the comets, all these can be affected by each of you greatly. We want to connect with New Guinea,Mt.EtnainSouthern Italy,Canary Islands,Puerto Rico,USA, Pakistan and India, along with tropical storm, Eugene, that could be affected. So, as we put these intentions out together this evening, let us manifest the Light in the frequency that each of you are bringing forth. As was stated last night in the Cosmic Oneness, each of you is allowing yourself to feel the totality of your Essence in a different manner then you ever have previously. This evening we would like to continue with that. We don’t want to concentrate on doom and gloom or fear in any form. We want individuals, peoples everywhere to feel this combination of Light that each of you are bringing forth, that each of us have in reality in this group. That’s the important factor of this Temple. ~ thisTempleof healing, of Unified in Oneness. So with that being said, I’m going to step aside, and allow the energies to come through this evening of what is to transpire. Many blessings to each of you and thank you for being here with us again and again and again. We love you all very dearly. I am Fred, the Spokes-Being for the Temple of 911. It is our pleasure to come together in this moment in Group Consciousness, we will separate into one Spokes-Being for the evening. We come to you as the Mahatma, the 352 levels of the God Force which means that the initiation phases, up to the God Head source. We come to you in the frequency of your Guides, of the Light Beings, of the Teachers, of the Colleagues, of the Galactics, of all levels of Creation in this moment, as each of you sit here in the Temple of 911, bringing forth your Energies into the Greatness and the Totality that you are encompassing in these moments. We ask of you to fully just accept the levels of awareness that is happening for each of you in the status of Light. Your Light is changing greatly and within those changes, there is a frequency of continuation occurring within you that is both familiar and unfamiliar. We express to you this evening to bring forth the new aspects that you haven’t fully incorporated within your physical body. This is what’s going to assist each of you tremendously and those that you interact with and the Frequency of Light that you send out to the many. We are in great honor that you sit upon this energy in this moment and that you choose to be a Way-Shower and that you choose to assist as many as possible, but truly, what we want for each of you this evening is to incorporate within you the aspects that have been lost. The aspects that have been lost, that you have forgotten about because of the mental levels of the brianwaves that have not allowed you to fully incorporate all that is necessary. Previously it was not necessary, but now it is very predominant in the incorporation of your Light Body. To be able to ground yourself fully with the frequencies that are occurring, is very important to allow the acceptance of all elements, even if they are uncomfortable to you to be fully incorporated within you. Believe me, you will thank yourself for allowing it to be. As you bring forth these frequencies of Light you will start to see a familiar pattern occurring within you. August is a very transformational month. It’s not only transformational for the Earth, it’s transformational for each of you. So the incorporation of the Light Frequencies that you’re going to be bringing forth, they’re going to be accepting the Earth tremendously. It’s a matter of allowing it to Be. How do you allow it To Be? You breathe in, you allow the frequency to fully go through your Physical, your Emotional, your Mental and your Spiritual Bodies. Allow it to blend into your cellular level, because this is the last phase of your development that needs to be activated. But it is also the most intensely incorporated aspect within the Physical. It is something that is not easily and readily accepted by the physical body, so it’s very important that those lower energies within you fully accept the Divinity that is about to occur. IT is like when one has surgery and, when you awake from the surgery, you feel very uncomfortable. Sometimes you feel a little bit sleepy, sometimes you’re disillusioned with what you’re going through – because there is a lack of control. The only way to get through this process is to allow the freedom to fully be within you, to feel like you are the Eagle flying above everything – even though you may not quite be in that space yet. Let us correlate that with the Earth. The Earth, Gaia, is going through her process, parts of herself are hurting very deeply and some of those parts are going to be dying away. So in that Death cycle there can be great change and resistance to change. What we need to do is to have the acceptability to be very changeable in each moment and not allow the elements surrounding us that do not integrate with the present frequency to be fully brought forth into the acceptance of all that is. Because not all can be in that frequency, and this is the most important factor that everyone should remember, to incorporate the complete totality of Oneness within one’s structure. We must remember that the lower parts of yourself cannot exist just as the lower parts of Earth cannot exist into the Highest frequency of elemental changes. So our Key word this evening is fluctuation, flexibility and allow the integration to fully occur even when it feels uncomfortable. We, of the Mahatma, are happy to assist you in this Group Consciousness, but in separate forms. There are so many that are walking with you, there are many walking with you that have walked with you before and maybe they’ve walked ahead of you and you are behind. But now it is all different, so many – the masses are coming together, to walk in unison and this is the most important factor. There is a mass exodus of Light upon this Planet and this integration of these frequencies occur more deeply, there are going to be more and more that need your assistance. Right now we ask of you to fully reach out your arms and your hands and your fingertips and your light elements, outward from yourself unto others. Right now, what we ask is that you accept our support. We come to you, not as a Teacher, not as an over-lighting energy but truly as a partner in this project we call the New Earth. Allow us to come to you in the equality of Life – equality of life and the Balance. Each of us, Male and Female, coming together in those frequencies to allow each of us to expand upon the awareness that haven’t fully been accepted previously. So in essence, it is a celebration this evening. It’s a celebration because we are coming together in Oneness but until all the parts of itself are created, we cannot allow it to happen too quickly, because it will cause destruct. IT will cause destruction within you, and it will cause destruction within the Earth. So allow us to just sit back right now and just expand within ourselves as this Frequency of Light, as these sparkles of the Essence that you are ready to receive – and this is an extension of last night, but what we’re going to be doing is extending it to the Earthplane, extending it to Gaia as we never have before. We are in honor of each of you and the pathway that you are upon, to fully accept this challenge and it truly is a challenge and it is not a bed of roses. We understand this and we are in total awe of how many of you are continuing to walk the path. We ask of each of you to have the humbleness within you to realize the gift that you have received, in order to do so, in this physical body. This is an essential component to allow the lower ego to be fully dissipated and allow the higher ego of your I AM Presence to fully take over. This is our goal this evening, to assist you in this process. We of the Mahatma are overlighting this energy. We will now step aside as one Light Being will share the integration of the Light form. In the name of YHWH and All That Is, We are One. Receive, Receive, Receive ~ This the frequency that is about to come through to allow the formation to come fully into your Light Body, to come fully into your Physical Body, to come fully into the Emotional and the Mental and the Spiritual. Allow yourself to expand beyond the capacity that you were before. I am Archangel Metatron at your service bringing forth the Golden Ray, bringing forth the frequency of Light to assist in this allowability within each of you. I ask each of you to fully, deeply go within your Solar Plexus to allow the frequency to flow deep into the Core of your Being. As this frequency comes fully within you, accept, embrace, and feel the shifting of the forms that no longer serve you. Feel the intensity that you may have had previously being removed. In fluids of light, as we bring forth the Golden Flame, we also bring forth spectrums of Light of other frequencies. We ask for the No Colors especially, because they reflect all the colors. So we ask for the Crystalline energies to blend with the Golden energies, deeply within the Solar Plexus. Feel it filtering within you, not any distinct movement, but just a fluidness – allowing it to blend from the deepness of your Solar Plexus into your Heart, and your Thymus. Feel these three areas vibrating at an intensity of Light, expressing your Divinity more fully then you ever have previously. Embrace this. Embrace your essence. Embrace the Light that you are and as you embrace that, feel the joy. Feel the joy of the connectedness as we bring forth the continuality of the Souls’ Essence as many souls come together in this frequency of Light. Allow it to expand within you. As it expands within you, it goes into your cellular level, it goes into your bloodstream, it goes into all frequencies of the physical. Feel it blending into the Etheric and moving into the Emotional and the Mental. Allow the Spiritual Body to now be a sealing agent on the outside and this sealing agent incorporates the frequency of Light more deeply then it ever has previously. Feel that within you. It is you. This is you, this is the totality of your Soul. This is your I Am. Allow your Soul to connect with the other soul personalities of your Monad. Allow it to go beyond the hundred and forty four. Allow it to go into the many different Soul Families, as we’re all inter-connected in the deepness, in the core of our Being. Breathe that through. Breathe. Breathing deeply, breathing deeply. Feel. Feel your crystalline light; feel your ability to be flexible and fluctuating with the energies and allow the embracement. Fully go through any parts of your body that need it the most. Allow your mind to relax; and if it’s not relaxed, allow these crystalline light formations with flecks of Gold, to go into that Mental level, to calm it down. Allow the Mental, the Emotional, the Etheric and the Physical to blend. Allow the lower body to no longer exist as a separate entity. As you bring forth these frequencies of Light, bring that energy fully within you. Allow yourself to expand within those frequencies deeply, deeply, deeply. Breathing deeply. Breathing deeply. Now let us all feel the totality of the nucleus, of the Oneness that We Are. As I stand in the middle, I represent the Light formations of the Essence of the God Force as we reach out, hands within hands, within each of you. Feel everyone in the Temple now actualizing these energies as we all blend together into One pure Light Form. As we center upon the energy of the Earth, let us now focus the Light frequency. Feel yourself staying in the space that you are but then projecting this light frequency through the Axis of the Earth. We send it to the parts that are really necessary. We go to the areas to bring forth the acceptance of storms and elements that are erupting. Bring this crystalline light to create a surgery within the Earth, within Gaia, to remove all parts of herself that made these elements erupt. We bring forth these energies. Let us have Peace in the countries, let us have the peacefulness in the people, and allow each of the individuals to fully accept these energies within themselves. Breathing through this vibration, center upon any of the areas that you would like to connect with. Maybe it’s New Guinea, maybe it’s Italy, maybe it’s the United States,Pakistan, and India, the Canary Islands,Puerto Rico? These are the areas that are hurting the most in this present timeframe. It may change, but let us bring these focuses of the Light that we are bringing forth, in the essence of Oneness that we are, fully incorporating the entire Globe. Feel Gaia, feel her freedom as the elements are now being released and the Golden Flame and the Crystalline Light transforms it immediately so it is held on to any areas so that we fully bring in the totality of Oneness. As the Temple of 911 is bringing forth the Unified Oneness, not only in the Temple with so many souls, but with so many souls on the Earth, along with many land masses, the elementals and all of the vibrancy of the Land. The Spirit Keepers, the Guardians, they’re all uniting in love in this moment because we are fully allowing it to be. Take a deep breath. We’ll do some more work with the bowl of the Crystalline Light for Dearest Gaia. The Earth is vibrating at a higher frequency then it was previously. Allow us now to bring forth our energies, back within the Temple. Take a deep breath of the Crystalline and the Golden Flame within each of our Beings so that we make sure that we don’t take on any debris that was removed. Breathe deeply through that as it surfaces within your Solar Plexus, your Sacral, your Root, and all the way through your Body ~ Your Heart, your Thymus and your Throat – up to your Crown. Feel your Light Body expanding with the formations of the Crystalline Light. Breathe deeply as we all now are accepting our pathway of assisting deeply. First assisting ourselves and then assisting others. Breathe through that, as the Temple is now expanding with this frequency of Light, as it never has previously. Feel the continuity of the acceptance of our Spark, of how we were before we came into Beingness, of separateness. Allow this frequency to be blending within your Heart in this moment. It is my pleasure, as Archangel Metatron, to assist you in this frequency of Light. May the Light of the Crystalline flame with the Golden shimmers, be fully integrated within you deeply and forever more. In the name of YHWH and the Holy God of Hosts, I am Archangel Metatron, at your service. Greetings this is Fred once again, thank you, Archangel Metatron and Melereissee. I also want to thank each of you on the calls and doing the work and those not on the calls – that we’re all connected in Oneness. Please come to the Temple this week and continue these energies. Thank you for doing what you do. I am Fred, the Spokes-Being of the Clarion Temple of 911. Namaste. Greetings. This is Fred speaking, the Spokes-Being for the Temple of 911. Welcome to the Temple this evening and as we gather together one more time. Another experience of the Light coming into the Planet, we are really excited for each of you, the inhabitants upon the Earth, of what is happening for you, as this Light is filtering to each of us, and we’re really very excited to watch and experience and learn, of what it is to be a Lightworker upon this Earth. As each of you are embodying this level of frequency within you. We walk with you, we may not fully understand what is occurring, but we fully accept your Divinity, as our Divinity, as we are coming more fully into Oneness then we ever have before. I think this evening is going to be very enlightening for each of you. May the Love and the Light be in your Hearts. Thank you, and Namaste. We come to you in Group Consciousness in this very moment, we will separate into one specific entity, but we wanted to bring forth the energies of the Native Earth energies, of the Ascension energies, of the Galactic energies – so we come to you in this frequency, as the Mahatma. We embody to you the frequency of the 352 Levels of the God Source and to bring in the totality of your Multi-Dimensional acceptance in everything that is occurring for you. As these frequencies are shifting and changing upon the Earth, the Inner Planetary levels of frequency are going to become stronger. Our message to you in Group format, this evening is, Hallelujah! It is fully happening. It is now time. It is not just each of you aspiring to the Greatness that is happening within you but the entire Planetary structure, the Galactic structure, the Spiritual Hierarchy, the God Force and all habitants of all levels of frequency, are now coming together in the totality of a Great Hierarchy, as we fully are now able to commune with each of you, in the frequency of All That Is. It is a beautiful time that is happening upon the Planet. It is a beautiful time that it happening in the Inner Planetary, in the Inner Galactic, on all levels of the God Force because, as each of us feel these frequencies, each of you are embodying it within yourselves. In allowing these elements to go to others, without even realizing what you are doing. This Solstice, this summer Solstice, that is occurring very shortly, within hours and some of you in other countries, may have already felt and been part of these frequencies. As we sit here with Dearest One on the East Coast of the United States of America, the onset of the energies will be in a few short hours as the Solstice, the longest day of the year, will be the Frequency of Light upon the Planet. There is a great acceptance occurring with this. “The longest of day with Light within the Planet” – what a statement! It is not just a statement of the Solstice experience within the summer, but now it’s an experience of the entire Planetary structure of experiencing these Light Frequencies being integrated within every person, within every inhabitant upon the Planet. As you reverberate these frequencies, you will mirror it out in a hundred-fold. This is the Blessing of what is about to occur within each of you. It’s the Blessing of what you have aspired to be – those of you that are a part of these energies, that are listening or reading the material in this present time or in a future time, you are all allowing that acceleration to occur within you. As it occurs within you, you start to experience the frequency of Light upon yourself in a different manner than ever before. Your situations are changing and, even if the outer form of these situations have not changed, the inner form of the situations have shifted. Each of you are thinking differently, each of you are feeling differently and each of you are reacting differently or in non-reaction. What is occurring within these elements of change, within each of you and upon the Planet, you are fully allowing the Light Frequency of your I Am Presence to be activated within your Physical Body. As these elements are being activated, you are being accelerated in ways beyond belief. We are in honor that all of you are gathering in this way, in these calls that Dearest One here puts together, because you do not realize the Openness that has occurred for each of you as the energies come through her. We may speak through her, but we are working with each of you in these moments and continue to work with each of you. She is just a conduit, just as you are going to be conduits for the work that you are going to be embracing, embodying and sharing with others. It may not necessarily be of the Word, it may be of the Energetics, it may be of the Frequency. It may be a feeling within your Heart to allow these frequencies to be fully embodied within you, as you accept the Divinity of your life in a different manner then you ever have before. My Dearest Children, what is gone is gone. Now is the time to fully embrace everything that you have been asking for, wishing upon. Do not look back. This is what’s going to give you the freedom of the moment. This is what’s going to give the freedom of Gaia, the freedom of Earth. As we embody within you right now the ability to fully actualize your acceptance of whom you have become in this moment. It will change, but we are at a pivotal point of frequency. It is up to you on how to embrace this frequency. It is an opportunity. It is an opportunity for you to fully accept all that you hold dear within your hearts. Because as you hold this energy dear within you, you will fully accept the challenges that are before you and they will shift greatly. But you must allow them to be, and not to think about them too much. Do not let your Mental mind deter you from the true course that is within. Do not let the emotions that hold you back to stop you from fully walking through this doorway on this day of June 21st, 2011. It is a momentous occasion and each of us that embodies to you the God Force of the Mahatma, are with you in every moment. So reflect upon this when you go through the energetics of tomorrow. This day of Light is going to be embodied within you in unbelievable ways. Accept it to be. Take some time for yourself, if you can, to celebrate in some way. It may be in meditation, it may be in dance, it may be in song, it may be in expression of nature – whatever it is that you hold most dear to your Heart. Take some time on this day of the Light hours to fully embody the Light more fully within you. You shall see the elements that Sanat Kumara has spoken about, will be fully embodied within you. You may not fully accept all that is ready to be brought forth in your life circumstance, but you truly will be assisted to walk through this doorway of experience. You are being guided by all levels of frequency – of the Planetary, of the Solar and the Galactic, the Universal and the Multi-Universal and the Cosmic energies, to allow these frequencies to be fully within. There is no turning back on this day. Each of you know this. Each of you that are here in these moments and choose to hear these words will understand the dynamics behind the frequency that we are embodying in this moment. It is your choice in this, at this time to fully accept your Divinity and to allow your I Am Presence to be more active within your consciousness. So eventually your ‘I Am’ will be fully activated within your body. Allow it to be so. Allow yourself to go through the stages that are necessary in your initiation process. Do not think about what it is or how you’re going to do it, just allow it to be done. Be in the moment and be free and embrace the frequency that is about to unfold within your Being. We are the Mahatma of the God Force frequency at your service. I come to you in this moment as Lord Melchizedek. Welcome ~ Welcome ~ Welcome. What a beautiful message from the Mahatma, from each of us, in the expression of All That Is. There are many that wanted to choose to come through for this evening, I have been honored to give this frequency to you in this manner, as we all represent the Priesthood of the Melchizedek of the New Earth of the new frequencies that are about to be unfolded upon the Earth. Watch within yourself, what is no longer there, that was there yesterday – all your intentions, all your desires, everything that you have aspired to be, will now be, if you allow it to be. You are being given great gifts on this day and these gifts are multiplied in your accessibility of your life. As you bring forth this accessibility within you, you cannot help but embrace the divinity that is about to unfold. Each of you have a task at hand. Most of you probably do not know what that is, and it can change from moment to moment but that is just fine. Tonight, this evening, in the Temple of 911, we embody unto each of you, the light frequency that you deserve. Allow yourself to sit back and just receive this frequency that is about to come through. As we embody through Dearest Christine Meleriessee the frequency of Acceptance, the frequency of Love, the frequency of All That Is, That You Are. Allow yourself to embrace it in your cellular level, allow it to go to your Physical Being first. Allow yourself to heal more completely then you ever have before. Your physical bodies have been hurting and they are not adjusting well, at times, to the frequencies that are coming through you. Allow yourself now to receive. See yourself on top of that mountain. 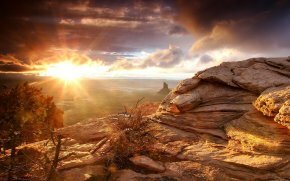 Allow yourself to be sitting upon the mountain. You see the sun shining down upon you. The breeze is blowing around you – feel the winds of change. The sun represents the Fire. The wind represents the Air. You look down below you and you see the Goddess of the Sea in all her glory – who represents the Water. You sit upon the Earth. So we bring in the directional frequencies into this celebration of the summer Solstice. We also bring in the Ascension energies. We bring in the Priesthood, that each of you are aligned with, as you are the Priests and the Priestesses of the Old that are now being remembered into the New – to bring forth these levels of activation fully within your Being, so that you can fully remember the Divinity that is part of you, that is beautiful and is the essence of your Completeness. You are the Gods and you are the Goddesses of the past. We are bringing forth within you all aspects this evening. All that has been stated in previous weeks, in previous calls through this Dearest One, is now being activated. You are the Gods and the Goddesses ~ You are the Balance of the Yin and Yang, of the Male and the Female ~ You are the Priests and the Priestesses ~ You are the activation of your remembrances ~Your knowledge is coming fully within your Being. Allow yourself to fully accept these moments. It is your Divine Right. You are here in this moment, you are listening and even if you’re reading material in a few days, you are still embodying these frequencies. Whatever you have come across, Allow It TO BE. Let’s take a deep breath within our Heart. As the frequency of the Light has been activated through our Thymus and our Heart area, allow that vibration to be a beautiful beam of light. This beam of light is just centering. This is your Higher Self, this is your Higher Self activating this energy fully within you. Feel the love that your Souls’ essence is bringing forth into your Physical body, is bringing forth into your Emotional, into your Mental, into your Spiritual. As you are the Light Body, as you are embodying the frequency of the Fifty Chakras that go beyond the Fifth Dimensional Grid, that go up into the Higher Grid Levels. Allow that to fully be embodied within you. We want to spiral to Higher Elements now because each of you are aspiring to that Fifth Dimensional Level. It’s now time to go into Higher Essences. Let us not think about specific colors except that there’s all colors and sparkles of light and frequencies and the clear essence of energy, as they all blend together within your body. Feel the frequency around you, now being pushed fully into your Heart. Feel the vibration of your Heart energy, feel the essence that you are. As you sit upon the mountain, you feel these frequencies coming to you. You bring forth remembrances of the past, of the times when you have walked the lands with your knowledge. Allow that to be shown to others. Allow that embodiment now to come within you. This is the remembrance that we truly want, this is the remembrance of your wisdom and your knowledge ~ your essence ~ your completeness. As we now ask that each of you receive all the gifts that you desire to have. All the elements that are fully coming into your body from all these lifetimes were all the positive energies. We ask now that all the Karma associated with any lifetime you have not cleared, to be fully cleared now. We asked for the Karmic Balance and for the Wheel of Rebirth to be removed. So now each of you become the Master within yourself. You are the Priest and you are the Priestess. You are the activation of the Love and the Light. You are the Spiritual Hierarchy of the Brothers and Sisters of the White Light. Allow yourself to bring those remembrances within you because you are the Pioneers, you are the Wayshowers, you are the Ones walking upon this Earth, sharing with others your Light. We ask you right now, to not share it with words, but to share it with your Essence. Allow that to be your guide as you bring forth these frequencies within you. Breathe deeply as you feel this Essence occurring for you. Feel the activation of this Light coming down upon you. It is now time for your remembrance. Do not think back. Do not worry about others; just embrace yourself in this moment, in this time. Allow yourself to fully act upon these frequencies because it is your time to shine. Breathe that it now and breathe the Essence that you are. As you now feel your I Am Presence, the activation of that Group Consciousness, that you’re all part of – of your Monad and all the Soul Personalities that you interact with. We are One in this moment. As you sit upon the mountain, you now see many of us coming around you. The Temple, now, is upon the mountain and we see souls, all the souls coming together and rejoicing. We are circles within circles of Light Beings of White Light. We bring forth these energies together. Let us come in the essence of this frequency, upon this day, to allow yourself to fully activate the remembrances, the experiences, that have been lost. Allow this to be your awakening, on this day of the summer Solstice, of June 21st 2011. Breathe that in now. Allow that frequency to come through you and allow yourself to express, fully express within you – with feeling and love and joyfulness. The bowl is not an activation, it is a celebration of bringing forth these frequencies within you, to allow yourself to accept what is occurring within you now. Allow it to expand outside of your field. Allow your light body to be the beam of light that is necessary upon this Earth, as you fully accept your Divinity and the Light that you are. You are Body ~ You are Mind ~ You are Spirit. You are One with all that has ever been created. In this moment, you are the Crystalline Structure. As your body changes to this Crystalline form, allow it to be fully within your Heart. Allow it to be fully within your Solar Plexus. There is nothing in the world that can stop you in this moment, as you bring forth this Crystalline energy fully within you. Deeply feel the Essence that you are. This is the beauty of the frequency of the Light. Each of you are part of the Melchizedek Priesthood. I would not be speaking in this moment, if you were not. Allow this energy to be opened up into your awareness of what it is you have been before. Allow that to be your foundation, as more will come. More will come on top of it. It will be the icing on the cake. Allow the Old to be the cake and the icing is being put on the cake. This is the expression of your Divinity as you have more experiences that will bring forth these frequencies. You have not embodied this energy upon the Earth, in a physical existence, ever before. This is the beauty of what is happening to everyone in these moments. It is a sight to behold, to watch each of you grow and expand in this frequency. Allow us to feel this in this moment. Allow yourself to be the Crystalline Structure as you’ve never have before. As we’re now upon the mountain, let us now descend the energy down to the Earth. We send it to the waters of the Crystalline Light, we send it to the mountains, we send it to the Plains, we send it to the Deserts. We send it to all the places in the entire world. As we just think it, it goes. Allow us now, as we are circles-within-circles of each other, with the Pure White Essence of the Crystalline form. As we bring forth this love, this continuity of life within us, allow it to be the process that you are undergoing. It is going to get easier. It will not get easier for others but it will get easier for you. You have been doing this pathway, maybe a year, maybe 5 years, maybe 10, maybe 20, maybe 30. Whatever it is, you have something to give to another because you are aspiring to the Light that you are. Some of you have not needed to be on the path as long, because the others that have been here longer, have opened up that pathway for it to be much easier for you. Know in that Essence, that we need to thank the Ones that have started. Many of them are not even on the Earthplane any longer because they have been getting tired. So we expand this love and gratitude to All in the Oneness that we are, because everyone is doing their part – even the ones that don’t know they’re doing their part, they are. They are assisting us, even the ones who have fully stepped in our path and challenged us, they are truly the ones we need to thank. We need to thank the ones that say things to us and make us look differently at ourselves and say “Wow. I am so glad I’m not in that pathway. I’m so glad I have changed.” Continue with the changes. Look in front of you, as we stand upon the mountain. We have centered this frequency of Light around the entire Globe as each person that lives upon the Earth will bring forth this light frequency on this Summer Solstice. We ask that every individual, every human in Body, Mind, and Spirit upon this planet have an awakening within them. It may not be a large awakening but allow them to be awakened unto their pathway, unto their light, unto a new way of being then they ever have received before. Allow us to have this blessing because, as we are the ones that need to share and show others that this is easier than it seems, because you are making it easier. You are the ones that have put your hands apart, that have been swimming with the energies to open up the frequency, to allow this Light to be fully within your Being to assist the masses, to assist the masses of the light upon your being. You are being given many gifts upon this day, on June 21st 2011. Allow them to come into you right now. Allow that frequency – is it love? Is it finances? Is it partnership? Is it changes that you need within your lifestyle? Embrace it. Don’t let your Mental mind stop you. Don’t let the Emotions tell you that it is not possible to do it. Embrace it. It is yours on this day, tomorrow. Embrace it embrace it embrace it. I, as Lord Melchizedek of the Light Frequency of the Priesthood, embody upon each of you in this moment, to bring forth these frequencies within your Essence for you to fully accept the Divinity that is yours. Breathe deeply. Breathe deeply and allow this. Allow this moment in time to be the beginning of your new life. As each of you have been reborn, bringing forth the frequency of All That I more fully in your Physical body, then you have ever experienced previously. Breathe through that Essence of Love. Feel the Essence of Purity ~of Truth ~ of Knowledge ~ of Balance ~ of Unity ~ of Devotion ~ of Love ~ of Wisdom ~ of Acceptance ~ of Inner Power and Inner strength to be your guide. Let us all now visualize yourself back into the Temple of 911. As we look around the Temple, every Soul here has experienced this Light Frequency. The Ones that are in Body are the Wayshowers – you are the Ones going to help the Ones Out-of-Body, to fully understand how to accept within One’s lifestyle, within the purity that each of you are. Allow your emotions to come, allow yourself to feel the blessing that has been put upon you as it never has before. Allow the balance to occur within you. Allow the acceptance of your Divinity, as you now are brought forth the energies of the Earth, the energies of the Sky, the energies of the Air, of the Water, and the Fire. As you are all elements, as you are the Physical, you are the Emotional, you are the Mental, you are the Spiritual – in the essence of Oneness, just like Gaia is in Oneness of Her Earth, of Her Water, of Her Air and of Her Fire – you embody all these elements within you, in the purification of your souls essence. Breathe deeply. Allow that to fully be embodied within you. This evening we have given you more of a Blessing. It is a continuation of the Cosmic Oneness of last night. We wanted to share with you the Divinity that you are bringing forth upon this Earth. The Light frequency that is occurring tomorrow is going to be an acceptance of the frequency within you, for you to fully accept all that you desire ~ All that you embody ~ All that you are. Everything that you wished for, everything that you dreamed about will be within your Being, on this day. Express it. Allow it to be and be in celebration on this day. It is your time to fully accept that you deserve the life that you have been striving for. I am Lord Melchizedek at your service ~ The Father of the Priesthood, of the Priests and the Priestesses. I am in honor to bring forth this message in this moment on this day. In the name of the Holy God of Hosts that we are, in the name of YHWH, We Are One. Thank you, Lord Melchizedek. This is Fred once again. I am in honor of each of you and how you have helped all of us. We love each and every one of you deeply and dearly. Come to the Temple of 911 and join in ceremony of dance and singing. May the Light of God be within you at all times. I am Fred, the Spokes-being for the Temple of 911. This is the transcription of the Journey to the Teton Retreat in which Masters Confucius and Lanto share with us the beautiful retreat and how we can utilize the energies for the next 30 days. Each of us was given a specific Ray Chohan to work with during this time. This is Saint Germain. Let us come into the elevator. The elevator is now going to take you down into the Retreat itself. As we’re doing that, let’s just take a few deep breaths. I also want to make an announcement that Christine did not make. 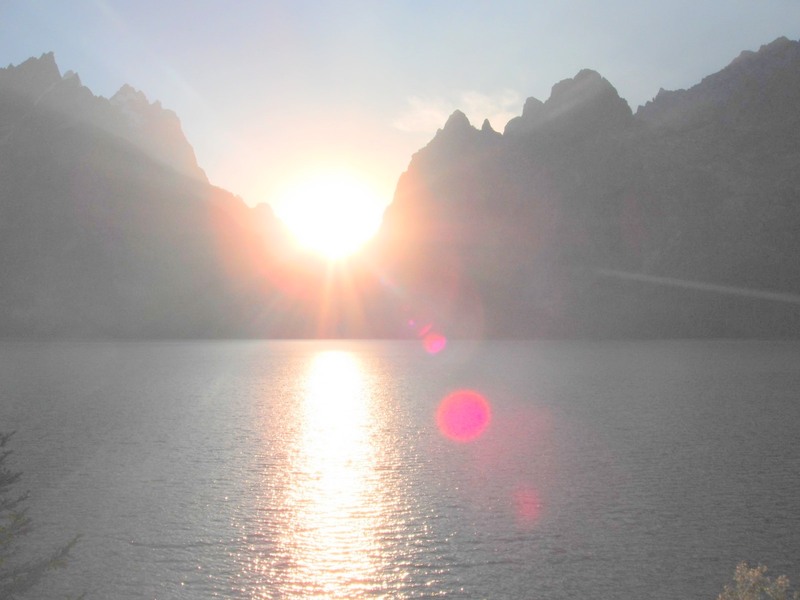 The Teton Retreat, these visits take place on the Full Moon, is a gift through us, through Christine, since she visited the Tetons last September – we do these Retreats of the Full Moon. It’s usually only open for three days, that you can come, in your meditative or your sleep state. In June . in December, it is open for thirty days to all Initiates. On June 15th it will be open at 12:01 a.m. and it will stay open until July 14th at 11:59 p.m. You can come in your sleep or meditative state so you can receive advice. You may utilize the recording that Christine will provide to do this work, Teton Recording. Tonight, it’s an opening. It’s exciting for us because each of you can now work even further with your Pathway and with the energetics that are happening presently – it’s only going to assist you greatly. So, with that, lets just feel the de-scension of the elevator going all the way down into the core of the mountain. We see the elevator open. It opens into the beautiful area of the Teton Retreat. The Teton Retreat represents the Divine Illumination and the Light of the Divine Mother, to the entire Planet, so this totally represents everything that you’ve been experiencing earlier with Sanat Kumara and last evening, with the Divine Mother God. As we walk into the hallway, we’re going to be guided to the Audience Hall. This is our meeting place. Now, when you come separately, you may be escorted to one of the outlying areas, which are separate rooms, where we do more private counseling. As we walk into the Audience Hall, you see a large-sized panel. It is a screen that’s going to assist in receiving information and having a remembrance. The panel is about 30 feet high and 70 inches long. It’s a Deep Indigo Blue color. It has a Cosmic mirror and live pictures, in all Dimensions, can be portrayed. As you walk into the Audience Hall, just slowly walk around. Look at the tapestry on the walls. Look at the Crystalline structures coming down. In the other rooms, they are adorned with gold, jewels, and treasures. These are the rooms that you can come to when you come privately. As we walk around the Audience Hall, we see that there is another Hallway that we walk through. Now, we’re going to be going into a large amphitheatre and this is where we meet for this Group. See yourself sitting in a place in the amphitheatre, along with all the souls of the Clarion Light Beings that are with us. The beauty of this amphitheatre is beyond our comprehension. It represents the energies of Masters Confucius, Lanto and myself. Lord Confucius is the Hierarchy of the Retreat. He took over this post in 1958 from Lord Lanto and they work together during these ceremonies. He is dedicated to the radiation and expansion in Manifestation of the Divine Flame. What does this Retreat mean? This is a place where each of us, as the Ascended Masters, come to meet and to discuss important facts, important elements, that come up from Initiates and the Brotherhood and the Sisterhood of White Light. As we look around, there’s soft White Light everywhere. The walls of this room are composed of White Onyx, Blue and Rose granite and pure Gold. Just feel the beauty that is within this area. We are here this evening to assist each of you in your Pathway. It is a special gift that is being given to you each month. This month it’s even more special, because of the opening of the doorways. This is also where we meet with the Karmic Board, so if you have any specific issues with relationships, pathways, or Karma that maybe you are trying to remove or to rescind, this is the place to come. The Karmic Board is ready and available to work with you, the Great Divine Director is the Contact Being that you can state your case along with Lady Quan Yin, Lady Nada, Lady Portia, The Goddess of Liberty, Pallas Athena and Elohim Cyclopia (also known asVista). So what are we doing here in this Retreat? The Retreat is bringing Perfection and Purity along with fulfilling the Divine Plan on Earth. We have decided to open up the doorways on a monthly basis like this because, we found that it is very helpful for everyone that takes advantage of this opportunity, to fully work with each of us, either in your sleep state or in your meditative state. It’s going to help with encouragement, any teachings that you feel that you need to bring forth. It will give you great power, inner power, to assist you in the elements that are occurring for you. So, let’s take a deep breath. Within this deep breath, in the middle of this amphitheatre, you see a beautiful altar. This beautiful altar has been ordained with the Flame of the Retreat – which is the Emerald Green Flame. Within this Emerald Green Flame, there are sparkling yellow diamonds all around it. The diamonds are also adorning the ceiling of the amphitheatre. As you look around, there are seven antechambers surrounding the amphitheatre that can be opened into the Audience Hall. There is also another room, that has records of every civilization that has existed on Earth. We share with you this knowledge, in case of elements that you feel attuned with, that you can come back and work with. But right now, let’s get to the heart of the matter. I’m now going to step aside and Master Confucius will come forth. Greetings ~ Greetings. Welcome, welcome once again to the Teton Retreat. It is a pleasure to have each of you with us, in this form. We know that you’ve been traveling here as we are all assisting each other. We see great changes happening within each of you. This is a very powerful time. This evening is a little bit different then you have experienced before. We are acknowledging you this evening. As you look around the altar, you see that there are many Light Beings. These Light Beings are here to acknowledge each of you for the work that you are doing, the work that you’re about to do and the challenges that you have endured in order to get there. I’d like now, for each of you to stand up and come towards the altar. There will be a Light Being that will come to you, it could be an Ascended Master, it could be an Inter-Galactic, it could be a Star Seed, it could be an Angel, or it could be an Elohim Master. Allow yourself to just come up to the altar. Take a deep breath. What is it that you desire at this moment? Is it Purity? Is it Joy? Is it Trust? Is it Companionship? Is it Love from another? Is it Love of yourself? Is it a change in your pathway? Is it Courage? Is it Inner Wisdom? Is it Balance? Is it Active Intelligence, like Manifestation? Is it Knowledge that you need to tap into? I want you to think about these elements as you come to the altar. Now, this Being that is standing in front of you, acknowledges you; it may be one of the Masters that you already know. This is a joyful evening. They hand you a goblet. The goblet is a certain color of water – notice what the color of the water is. If you know what the Rays are about, you can understand and intuit what they are. Pink – for Active Intelligence. Blue – for Will and Power. Yellow – for Love and Wisdom. Crystalline – for Balance and Harmony. Ruby Red – for Devotion. Violet Purple – for the Ceremonial Magic. White Light, mixed with Gold – for Scientific Knowledge. Now you see that the flower you had in your hand is now within your Heart. Breathe deeply into that area, between your Heart and your Thymus, and feel that activation occurring for you. Again the colors – is it the colors of the Rays that we just have given you? It may be a mixture of all these colors – allow yourself to intuit that energy. Now embrace your Light Being. This is the Light Being that’s been working with you – a Master, a Teacher, an Ascended Master. It may be someone who you’ve been working with for a very long time. Feel the embracement of Him or Her around your body. As you embrace this frequency, you become their frequency – as you become One. Now, let us all face the altar. The Flame of the altar is flying high and the adornment of the Gold, the Crystalline and the Diamonds are everywhere. As we all face around the altar in a circle, we hold hands with each other. This is our ceremony of Acceptance. This is what we do when one of the Initiates, one of the Masters, acquires something within them, to allow them to see the Acceptance that is within them. As we stand, hands within hands, Masters, Angels, Light Beings, within Souls of Ligh we’re all connecting with each other. Now see the flame of the altar expanding even more through the top of the ceiling ~ through the top of the Crystalline energies. The Diamonds now are sparkling more deeply then they have before. This is the Divine Flame that we desire upon the Planet. Let us feel the frequency within each other right now. 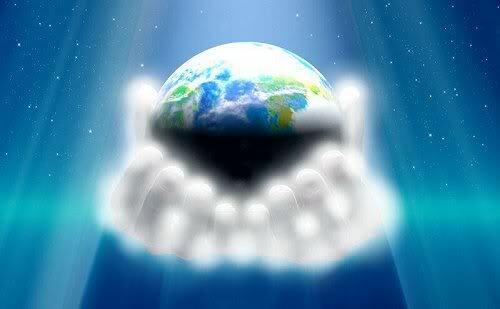 As we are here in Oneness ~ As we are here in acceptance of our Divinity. It is now time to go back to your seat. You sit down and this time there is a Master waiting for you. This Master wants to work with you for the next month. El Morya – Personal Power and Will. Master Kuthumi or Djwhal Khul for Love and Wisdom. Paul the Venetian for Physical Action. Serapis Bey for Balance and Harmony. Master Hilarion for Scientific Knowledge. Lord Sananda for your Inner Wisdom and Devotion. Saint Germain for Ceremonial Order and Magic and for accessing the Rays. Lady Isis, for Higher Cleansing, which is the Seafoam Green. Lady Nada, for Joy and Attraction of the Light Body. Master Valencia of Andromeda, for Anchoring the Light Body. Lady Kwan Yin for Anchoring the Bridge to the New Age. Pallas Athena, for the New Age Christ Consciousness within. These are the Twelve Rays being activated. One of these Masters wants to work with you for the next 30 days. See this Master in front of you. They take your hand, and they’re going to show you into one of the antechambers on the outside area of the amphitheatre. You are going to go with this Master for a few moments, as Christine does the crystal bowl. And, you will receive some instruction on what you need to do. If you have a hard time receiving a message, feel the energy. Allow that to come through you. This session is about learning how to intuit the frequencies within you. I want you just to feel it, I want you to hear it, I want you to sense it – out of the physical body. As we breathe deeply. I am Master Confucius. Thank you for being here with us, as you now move forward into your Mastership Pathway, further then you have before. Okay, you now return to the amphitheatre. Feel the connection with this Being, this Master, that’s going to assist you in the next 30 days and, especially assists you in the next week, for the Full Moon Activation, the Lunar Eclipse and also for the Solstice, moving into the New Moon energies on the 1st of July. Allowing that frequency to be fully within you. Let’s take a deep breath. Let’s arise together. I am Master Lanto, I assist. I previously was the Overseeing energy here. I bring forth, we, bring forth to you, in this Retreat, an open doorway, through the 14th of July. Please come, speak to us, come to the Karmic Board. Come explore. Allow yourself to be here with us, as you are on your Mastership Pathway and it will accelerate you beyond your wildest dreams. It is our pleasure to be here with you this evening and to offer this opportunity. We thank Meleriessee for the Pathway that she has taken for this to occur for each of you. It is an honor and a blessing to be with you in these moments. Let’s take a deep breath together and feel our Oneness as we bring forth all the energies of the Temple of 911. We bring forth all of your energies and all of the Spiritual Hierarchy, as we become one Hierarchy together. Thank you for being here. This is Saint Germain once again. Take a deep breath. We walk out of the amphitheatre. You received a Flower, you received a Blessing of the Ray Water, and you have received a special Teacher for the next 30 days – honour this Teacher by working with Him or Her. Let us move into the hallway and feel the beautiful essence of everyone coming together as we travel out the door into the elevator. Know that you will return. It’s a special occasion for this to be occurring for the next 30 days. Just take a deep breath. eel the elevator ascending upwards to the top of the mountain. As we come out from the waterfall, I want everyone to just walk through the waterfall and just feel the frequency of the Crystalline mountain water, of the Teton mountain, blending through your entire Being. Feel that essence of newness, crispness, and an awareness within you as you allow those energies to be fully within you. Let us now gather together in one Merkabah as we travel back to the Temple. Quickly we move off of the land of the Teton Mountain, coming up through the Etheric level of the Earth, into the Solar, spinning upwards into the Galactic, the Universal and the Multi-Universal. Then we spin all the way down, we come down into the middle of the Temple. As the Temple was open at the top and we find ourselves in our original seats. Feel the Blessing of Ceremony that has been given to you, of the Acceptance of your Pathway. Know that you must continue this Pathway, because you are being acknowledged in so many ways. We honor you at this time. We honor you in the frequency that you are and the beauty that you are. Allow yourself to bring forth those energies within you and within all of us. It’s been my honor, Saint Germain, in this moment to walk with you, as we see each of you aspiring to such greatness. In the Name of the Holy God of Hosts that I Am, I am Saint Germain at your service. Hi, this is Fred, once again. Wow! (Laughs) That’s all I can say in this moment. Anybody that knows me personally, y’know I’m kinda like a common guy, so I am overwhelmed, I’m exhilarated and I’m excited and it’s been a pleasure to be with each of you. Look forward to seeing you all in the Tetons! (Laughs again) What a beautiful gift for myself and for all these souls in here. T hank each of you because you’re paving the way for each of us and it’s a beautiful evening. Join us in the Temple, if you would like, and the experiences that are happening. Have a beautiful week. I am in honor of so much in this moment. Namaste. I am the SpokesBeing for the Temple of 911. Blessings. Good evening, this is Fred speaking. It is wonderful to be with each of you here, at this time in the Temple of 911. Thank you for joining us. We are in a period of transition, with the changes that have been happening – with the Inter-Planetary, the Solar, Galactic, the Universal, Multi-Universal and the Cosmic – all these activations are all associated with the totality of the full Cosmic influences, all the way down into the Planetary, all the dimensional frequencies and the 352 levels of God. So this evening, we want to assist you again and we’re going to be doing something a little bit different than we have been previously, and Christine is not even aware of what is about to occur. So, I will now step aside and enjoy the energies, just like each of you will be doing. It is my blessing to be here as the Spokes-Being of theTempleof 911. Namaste. Greetings. I am the Manu. I am the Overseer of the Rays of God. This evening there is a mixture of energies between all the Ray Chohans and myself, as we bring forth the frequencies that are needed in the acceptance of your Beings. As this acceptance of your Being occurs, each of you are on the pathway of Ascended Mastership. Allow yourself to fully bring forth the energies in this moment. I am Allah Gobi. Thank you for Being. Within this combination of energies, we have all the Ray Chohans, Saint Germain, the Mahachohan, which was previously my post. We then have Serapis Bey, Paul the Venetian, Lord Sananda, Master Hilarion, Master Kuthumi, Ascended Master Djwhal Khul and El Morya. We come together in this frequency of energy for each of you this evening to assist you in preparation for the activations that are occurring. We want each of you to be ready to stand full, at the top of the mountain, on the Summer Solstice. We’re here to acknowledge your frequency of the Rays within you, and some of you may not understand exactly what this means. We will not go into depth in this moment, but we will give you a brief overview. You have heard these energies from Christine previously, she works very well with each of us. We are honored to have her bring forth this information. Previously this information was much more on a Planetary level from Dr Joshua David Stone, we have asked Christine to bring in more of the Cosmic Energies, due to accelerating everyone on the Fifth Dimensional Frequency. She has learned about the Rays very diligently and a lot of this information was not available on the Cosmic level, so we’re going to allow her to integrate with us, in these moments, as she also is in training to be a Ray Chohan in her future existence. We bring forth these energies in this moment, as I oversee the frequencies; let us go over them to just allow you to feel the streamers of colors that we’re going to be integrating within us. At the top of the Temple we will bring forth a stream of color, like a beautiful flag. That beautiful flag is going to have that frequency of the color within there. We will start with the basics. Love and Wisdom is Golden Yellow. See the Love and Wisdom. Master Kuthumi, Ascended Master Djwhal Khul, bring forth that frequency. See the Golden Yellow stream of light. Feel it fully now, go into your Crown. As it brings forth the God’s Will and Power within you, the acceptance of your Essence enters your Crown. Breathe deeply within that. We look up above again, and now we see the Will and Power of the Blue of El Morya. Bring that now into your Throat. As that comes down into your Throat area, that Blue, that ‘God’s Will’ within you, bring forth that aspect, as you speak your words clearly. Breathe that in within you now. We now call upon the energies of the Essence of the Ray that brings forth Active Intelligence, of the Deep Pink. That’s going to come into your Heart. This is fully represented by Paul the Venetian. Allow that to come into your Heart Center now and feel the active movement of everything that is occurring for you. Allow those active movements to bring forth the Divinity within you. Allow that Divinity to be the Essence of your Being, to fully bring that Essence within you. Breathe deeply. Now we bring in the Fourth Ray of Harmony and Balance of Serapis Bey. It comes into your Root and it is a Crystalline color. There may be some speckles of Green in there. Allow that Cosmic color to bring the balance into your Root area. Feel that frequency happening now. Breathe deeply. Now we move into the Scientific Knowledge of the Pure Golden Light, with flecks of Green within it, into your Third Eye of the Cosmic Energies. We bring in Master Hilarion to assist you with that. Breathe Deeply through that. Now we bring in the Spiritual Devotion, Inner Wisdom, with Lord Sananda – of the Ruby Red, into your Solar Plexus. Breathe Deeply. Then we bring in St. Germaine with the Ceremonial Magic and Transmutation of the Violet Flame. Allow the Violet to be Purple, Deep Purple, into your Sacral area. Let’s now blend these colors together. As you bring all these aspects within your Being, you have Balance and Harmony; you have Ceremonial Order and Transmutation; you have Devotion; you have Active Intelligence and Manifestation; you have your Will and your Power; you have the Scientific Research and ability to foresee things, and then you have Love and Wisdom. Blend all those colors – the Golden Yellow; the White Light with Orange; the Blue; the Pink; the Ruby Red; the Deep Purple and the Crystalline Light with flecks of Green. Allow them now to all blend into each other so that you fully master within your Being, not just the aspects within each of these chakras – to balance out the Chakras. So, as we do that, we spin all the Chakras, on the Cosmic level of a Higher Frequency, in a clockwise manner. Let’s just bring those frequencies within. These are the Seven Basic Rays of the Cosmic Level. Let’s now activate the Seafoam Green in your Thymus, of the Cleansing and the Purity within you. Breathe Deeply and feel these frequencies to be within your Being. We now bring in the higher rays from the 9th through the 12th. Breathe in the Pearlescent, and the Pink Orange Ray. We bring in Blue Green which is in the Root; the Pearlescent is in the Sacral; the Pink Orange is in the Solar Plexus and the Gold is in the Heart. Allow these Twelve Rays to be activated within you as now you’re moving more into a 4th dimensional frequency, but a higher frequency because of the Cosmic Energies. Allow these Cosmic Energies now to be fully within you. Feel them all floating within each other. Now! Now! Now! Now! Now! Let’s look at ourselves. Visualize ourselves in front of beautiful mirror and this beautiful mirror is reflecting all that we are. See all these colors in front of us. See them within us. Do you see any dark spots in any of the Chakras? From through the Crown down through the Third Eye, the Throat, the Thymus, the Heart, the Solar Plexus, the Sacral, the Root? Are there any Grey spots? Then I will go over with you, once again, what to intuit for those areas. Deeply, deeply in the Root in the Crystalline Light and the Blue Green. If you don’t have an issue in that area, just breathe through the process. In the Sacral area, we want to go deep into the Purple and transmute anything that does not serve your Highest purpose. Then we breathe in the Pearlescent of the 4th dimensional grid. We go deeper into the Solar Plexus – it’s the Ruby Red of your Devotion and your Inner Wisdom, along with the Pink Orange Ray. Moving up higher into the Heart area, is the Gold of the Christ Consciousness and the Pink, a bright Pink, of your Active Intelligence, your Manifestation, your Desire is to create everything that you need. Allow the Thymus to opened up with the Seafoam Green, if you need cleansing in any of the areas, let’s just breathe into that Seafoam Green right now. We then move to the Throat and allow the Frequency of the Will and Power to be in your Throat. Then we’re going to go up into the Third Eye as we bring in the White Light with Golden colors and flecks of Green within for your Scientific Knowledge. We then move into the top of your Crown, of your Love and Wisdom, of the Golden Yellow. Allow that to filter within you. Allow this Love and Wisdom to go all through you now, so that it can bring in the power that is necessary. Each of you are Leaders upon this path. You may be Leaders in a different way. You may be a Healer, you may be a Way Shower, you may be a Shaman, you may be a Teacher, you may be a Coach or a Counselor – whatever it is you are here to teach, Master Kuthumi is the one that can assist you with this process. As each you are becoming a new Beam of Light, allow yourself to feel this Beam of Light fully within you. As a Way Shower, feel the Streams of the Golden Yellow, of the Blue, of the Pink, of the While Light with Orange flecks, of the Ruby Reds, of the Purple, of the Crystalline Light with flecks of Green and Orange and Gold, flecks of Pearlescent intertwine within you. All these colors within colors – the Pink Orange, and the Blue Green and the Seafoam Green and the Golden Light flow through you. 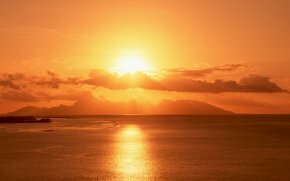 Now emanate Golden Light through your entire Being, as you are a Master of your destiny. Now look in the mirror and see the reflection that comes back upon you. What is this reflection telling you? Allow yourself to reverberate, through your entire Being, this Essence and this Purity of the acceptance that you are. I now ask of you to take a deep breath and see that there is a Master assisting you in this moment. I’m going to call out names once again. Saint Germain. Serapis Bey,. Paul the Venetian, Lord Sananda. Master Kuthumi, Ascended Master Djwhal Khul, El Morya, and Master Hilarion. As we all stand in a semi-circle in front of you, one or two will come towards you. These are the ones you need to work with for this next two-week time period. Each of you want to intuit what it feels like to feel the Essence of this Being. You may already have been working with him. That is a very strong possibility because each of you on the Mastership Pathway, you may have been dreaming about him; he may be in your meditations; he may be in your waking state. Allow him to permeate into your Being right now, as he comes forward to you and places his hands on your shoulders. Allow him to whisper in your ear a message. Let’s take a moment and feel this message being incorporated within you. He now hands you the stream, the flag. It now becomes a sash. The sash goes over from your left shoulder down the right side of your body. Then your right shoulder down across the left side of your body. If there’s more than one Ray that you’re working with – don’t go any further then two Rays – then you’ll receive another set of two sashes – one to the left, one to the right. You embrace that energy within you and allow that to focus. Accept the sash that he has given you. H e will work with you in that frequency and within that frequency, he will accept you. Breathe deeply through that, as now we go through the aspects, once again, to assist you in this energy. Ray 12-The Gold is the Christ Consciousness. Ray 11-The Pink Orange is the waves and waves of the frequency of allowing your Higher Self to be activated within the Physical. Ray 10-The Pearlescent is allowing the totality of the frequency within you, male and female. Ray 9-The Blue Green is Activation of your Light Body representing Joy. Ray 8-The Seafoam Green is the Cleansing Ray. Ray 7-The Deep Purple is the Ceremonial Transmutation and Magic. Ray 6-The Ruby Red is your Inner Devotion. Ray 5-The White Light with Golden Orange and Green flecks is Scientific Knowledge. Ray 4-The Crystalline Light with flecks of Green is Balance and Harmony. Ray 3-The Pink is your Activation and your Manifestation. Ray 2-The Golden Yellow is your Love and Wisdom. Ray 1-The Blue is your Will and Power. Let us now visualize ourselves back in our seats. As you look around the Temple, you see everyone in the Temple has received sashes, this is not just for the ones that are in body – this is for every soul to be activated in their Ray Consciousness. It is a beautiful event that is happening. As we see the streamers, of the lights of the flags, coming down from the ceiling of the Temple – flowing down through the whole entire arena, of the amphitheatre, the colours – of the Blue, the Crystalline, the White Light, speckles of Green and Orange and Golden Yellow and Pearlescent and Pink Orange and Gold and Ruby Red and Purple. Allow all those colors to be within. Now all the colors blend into ‘No Colors’. ‘No Colors’ represents all the Colors, so now the frequencies are changing into a mixture of Blue Golds, Violet Golds, Lavenders. All the streamers represent the entire God Force, of the Cosmic, of the Multi-Universal, the Universal, the Solar, the Galactic and the Planetary. As we bring these frequencies fully within everyone’s Being in this very moment we now embody the Balance. We are now whole! 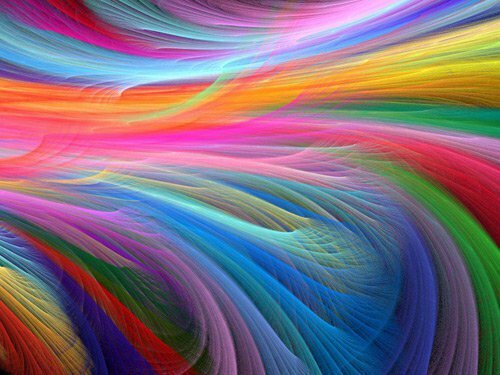 Our souls are fully incorporated with all the Colors of the rainbow -allowing the colors to be many colors – feel that frequency now as it comes through each of you. Let us now send all these frequencies to Gaia, as she now brings forth the Divinity within Her, as we are expressing within us. Feel that Essence. Take the sashes that you have and feel them flowing around the Globe. Use the Colors that are more predominant at this moment, don’t worry about the other colors – the rest of us will take care of it. As we bring forth those frequencies into the Earthplane, into the core of the Earth, from the top of the Earth to the bottom of the Earth, into the Crystalline structure of Gaia, let it permeate from the bottom through the top, through Her aura. Let it go through her Physical, Her Etheric, Her Emotional, and Her Mental. Allow Her Light Body to be activated more fully than it ever has before as we flow through these energies. Oh what an amazing moment! Now we ask that every living Being upon this Planet, accept these frequencies also. Allow them to flow through the atmosphere, through the mountains, the streams, the waters, the deserts, the plains, fields of flowers, and all the areas that need healing and clearing. Let’s send all these areas that are in Higher Frequencies to help the areas that are not in Higher Frequencies. So, we bring forth the streams of colors, the frequencies of the Spectrums of the Rays to fully be embodied within Dearest Gaia. Feel the releasement coming. Step aside as the debris and the dross is being removed in all the areas. Let it go into the hemispheres, let it be transmuted by the Violet Flame never to be returned. The Karmic bond is being released as the Wheel of Rebirth is no longer present for all that choose to walk into this Light. Allow this Summer Solstice to be an interaction, an integration of the Wheel of Rebirth to be removed from every living Being that so chooses to allow it to be. Now we are back into the Temple more fully. Feel the sashes around you and now they’re tightening across your Heart area and down the side of your bodies. They are your sashes to work with. Allow yourself to work with them along with the Masters that are associated with them. Allow this frequency to come through you. If you have a hard time remembering what we have said, it will be in the written form. so allow this to come to you. We promise to get it to you in a few days. This written form will help you remember the colors with the rays so you can experience it and work with it more fully. If you cannot fully remember, when you go into your sleep state or meditation, just acknowledge your Higher Self and say “Please allow me to receive the same spectrums of colors of the Rays that I received during this session”. Now let’s feel all the colors coming through you as we breathe deeply; through the Blues, the Reds, the Greens, the Oranges, the Purples, the Pearlescents, the Seafoam Green, and the Gold along with the Golden colors and the Whites. Allow those Blues and Pinks to just settle through your whole Being, as it swirls from the top of your Soul Star down to your Earth Star. As you command all these colors and bring everything into Balance. Breathe deeply and accept this activation. Because it is an activation, and know that if you have elements that need to be removed, this will assist. So be patient with yourself for the next couple of days and embrace the energies as they come forward. Allow them to come and allow them to go. U se the Ray Colors to assist you. Breathe deeply, in this Essence and the completeness that you are. Now center it within your Solar Plexus and your Heart and your Thymus. Feel your Higher Self fully within your Body, activating all these energies. Feel the Beauty that you are. I am Allah Gobi, at your service. It is my pleasure to be the Spokes-being in this moment for all these energies. Each of you are in our deep regard for what you are doing, for what you’re about to do, what you’re embarking upon. We’re here with you extending our hands, and this is what this evening is about tonight. Many blessings to each of you in the Name of Holy God of Hosts. We are One. As I speak for all the Ray Chohans in unison, we are here as an extension of each of you. We honor you for the work that you are here to do and are doing as you are accepting it fully within you. This is Fred. Thank you, thank you, thank you. I express my Divine Love for each of you. It is an honor to stand here amongst you, with you. Thank you, Meleriessee. Thank each of you for being here with us. Join us this week as we continue to spin the energies of the Spectrums of the Rays within us. I love you deeply. I am Fred, the Spokes-being for the Beings of the Clarion Temple of 911. Namaste. This is Fred speaking. Thank you once again for being here in the Temple of 911, and thank you Christine, for your dedication. We do have several servicemen from all different countries that have joined us, along with quite a few of the souls that perished during the tornadoes and the rough storms and all the other events around the world. Thank you for acknowledging them. We, in this moment, are in a place of great integration, as we have been. This evening we are preparing for the Energies for the month of June. I know that the evening of Cosmic Oneness was more of a balancing energy while allowing those frequencies to come in. We want to prepare everyone for this evening. Tonight, is to fully allow those integrations to be activated, of the Balancing Energy, but to bring forth the new frequencies as we come into the New Moon. And as we come into the level of integration that occurring, there are many eclipses in June and there are activations with this occurring tomorrow. We are bringing forth those energies in the frequency of everything that is happening and to allow the elements of the changes of the Moon and the Stars and the Sun and everything that is coming into balance and alignment. We are here to assist everyone to bring forth the changes that are necessary as there, are many that are occurring. We are in a state of complete, energetic silence…. something that I’ve never experienced before, but this evening, that’s exactly what we’re experiencing. It’s the lull before the storm. So, we’re here to assist in those elements coming forward into your Being, to be in a more relaxed state, so that the integration, when it’s fully happening for you in the next 30 days, it will be in the combination of Balance and Vibrancy. I think it’s going to be a new Centeredness then we’ve experienced before. So, with that being said, I’m now going to step aside and allow the frequencies to come into this space, and to each of you, and to each of us. Thank you once again for being here with us. The state of existence, of energetics that is occurring for each of you, in this moment, in this Temple at this time.. is to allow you to fully understand the absolute conditioning process that you’ve been under. I am Lady Lakshmi. It is a pleasure for me to be here this evening. I am helping with the frequencies to flow through you. Right now, we are in a state of non-conditioning in this moment. It’s going to change in another moment. But in this moment, if you take a deep breath, allow that deep breath to come fully within you. Feel the Silence through your Being. Feel the hushness, through the Temple, as we have millions of souls here with us but there is, a saying “you cannot hear a pin drop, because the Silence is so powerful. Within that Silence, each of you is bringing forth your Spark and your Flame. Within your Being, allow that frequency to expand. And that’s what I’m going to assist you with this evening. So the first thing I’d like to do is the Crystalline Bowl. As we’re performing, I want you to just feel the balance that occurred last evening. Allow that frequency of the Crystalline and the Green Ray to fully filter within you, once again. Feel the centeredness that is coming through your entire existence. Allow that to be your state right now. Feel the Spark and Creation within your Heart. Allow the vibration of the Crystal Energy to flow through you, but center within your Heart and within your Thymus area. Allow the Thymus to be activated. As we open up the Thymus more fully to allow the activation of your Higher Self. Allow your Soul’s Essence, that is part of you, to be fully activated within your body right now. Take a deep breath. Allow Him or Her to fully be within you ~ allow that acceptance within you. Allow yourself to with the frequency, expand all the way through your body ~Balance and Harmony – the frequencies that you felt last evening, relax, within you, to experience your Essence. Just kind of taking a backward step and saying “Aaaahhhh, I just need to relax and allow the Energies to be within me”. Feel that essence now. Take your fingers, your palms and just move the energy in front of you in a circular fashion. Allow yourself to move the old energy. Don’t hold on to it. Don’t hold on to it, as now we’re going to allow this frequency to be revitalized. We’re going to ask for all the souls that are in the Temple to feel the vitalization of their frequencies within their Soul Essence. They don’t have the Body, but they can feel the reverberation that is occurring in this Temple in this moment. As we see this circle, a funnel, of energy from the top of the Temple it comes all the way down to the middle of our platform here. Then it’s going to expand outwards, into all the layers of the seats, of the rows, within – to everyone and within the center so that everyone is feeling this frequency. The top is no stronger than the bottom and the bottom is no weaker than the top. We allow that frequency to come fully within us. Feel it flowing right in you – it’s in front of you. Breathe deeply, as you allow yourself to be expressed in a new paradigm of Lightness within you, allow that to flow through you now. Have your arms and your palms wide open to receive these new energies. You’re being renewed. You’re a new Being of Light, as all the old elements are being removed. Allow yourself to have this frequency within you – for you to embrace this moment of Light. Allow yourself to expand. As it comes in through you, it goes out around you, behind you so that we’re all just this fluidness of this Crystalline Light. Within this Crystalline Light we see flecks of Gold and Silver, Blue, Green, and Yellow, Lavenders, Violets, Reds and Pinks,Oranges-all the colors of the Spectrum of Light flowing through you. As that happens, feel the softness. You’re receiving an Energetic massage. It goes around the top of your head, around the back of your neck, the back of your body and then in front of you. It’s swirling through you. It’s not a strong energy, it’s a fluid energy. Now I want you to center yourself within your Solar Plexus and allow this frequency to flow through you. Allow the frequency and the movement to flow through you. If you visualize me standing in the middle of this platform, you could see all my arms just swirling around you. If you could see this woman I am in, right now, we’re flowing with the Energy. Allow that to be within you ~ Flow with it ~ Receive it ~ Expand it ~ Be it ~ Embrace it. Ohhh, feel the Beauty of this new movement – it’s like when you take a dive into the ocean underneath a wave and you come out of the other side of the wave, and the wave has gone to the shore. Then there’s another wave and it’s just a fluidness of energy – allowing that to be your experience in this moment. Breathe deeply with that essence. Breathe deeply. We need to move with the tides and the changes ~ As this New Moon is being activated ~ As the eclipse is being activated, it is now embracing you to a new paradigm, a frequency then you’ve ever experienced before. It’s softness but it’s also an intensity. And with the softness, it breaks down the intensity, so you don’t receive it all at once which is what you have been experiencing. So allow yourself to just be in the flow, right now. We’re just flowing deeply, allow yourself to expand. Breathe deeply. As you feel it in your face, down your arms, down your chest and your legs. Allow yourself to feel it physically. Allow yourself to tingle, Etherically. Allow yourself to be nurtured in your emotional level and relax with your mental thoughts. As the Spiritual Body is now being activated around the outside of you – now you are being embraced, now you are being prepared for the next moment that you are ready to receive. So I want each of you to take a moment right now, and I want you breathe deeply from your highest self, from that aspect within you now that has been activated. I want you to fully activate what it is that you desire – right now – in one moment, that will assist you in what you are doing, in what you are feeling, what are you expressing. If you have had thoughts or feelings in the last few days with anything that has been occurring – this is what you should be wishing for, to assist you with this. It doesn’t necessarily have to be a life-changing wish; it’s going to be a command from your Higher Self. Let’s take a moment – we’re going to do the Crystal Bowl again. As I’m doing the Crystal Bowl, I want you to feel that Essence coming into you, for you to receive the message that is necessary, from your Higher Self. Not your mind and not your lower emotions. I want you to breathe deeply into that Heart center, into that Thymus and into that Solar Plexus. We’re going to act like we already are our Light Body, that all those three Chakras are already activated. So, let’s bring that forth right now. Allow yourself to feel what it is that you desire within your life that’s going to assist you in the tangible result of Compassion and Love and Acceptance within your lifestyle. Let this be your activation! Feel the vibration within your Solar Plexus ~ Feel it in your Heart ~ Feel it in your Thymus. Let it go to the top and let it go to the bottom. As you flow with it, feel the expression in your arms. Feel that energy moving out of you, moving out of you, as you send it outwards, the command and the wish of this New Moon. We ask this activation to be fully within everyone’s Being. Allow yourself to express that within you. Allow yourself to now expand it out as it vibrates and the Star that you are and the sparkles of the light and the speckles of all the different colors and the no-colors ~ all expressing this Divinity that you are. Now take a moment and just be still. Be still. Be still within you. Allow the vibration to now come fully back to you. We are in a stage of movement. The stage of movement is the expression that you are going to be bringing forth into your Beings – it’s going to be very important that you become the multi-dimensional person that you are, the Being that you are in these physical vehicles. It’s going to be important that you feel all the aspects. That you express, that you expand, that you embrace, that you nurture – you need to be all these things at once so everything that we’ve been talking about – about the Male and the Female, being in Balance, it’s about giving and receiving and allowing that to be the totality of your Being. As you do that, you will start to see the movements. I ask of you, during this time, to just practice physically ~ put some flowing music on, not with words and just allow yourself, move your arms around your body. Allow the fluidness and put your hands behind your head and put them in front of your face and down your arms and pull the energy around and then bring it back in. And you will see the difference that you feel. A good time to do this is after you have bathed or taken a shower because you are refreshed with the frequency. Then you can expand yourself, because, in the protective field that you are in, you will express yourself in the Divinity that you are trying to integrate within you. It is as easy as I say, if you will allow the fluidness to flow completely around you. Don’t allow yourself to hold on to the restrictions, hold on to the thoughts, hold on to the emotions. Allow the emotions to flow, allow the tears to come out of you – that is the most beautiful expression that you could have, because as you bring this through, you start to feel the balance that is you. And you will bring the totality of your Spark within your physical body, so that you can fully embrace it, deeply and more fully. Breathe through that now and feel the tingling and the movement going through you. It’s not an intense tingling, as some of you may have been feeling with the activations and the Light Quotient increasing, it’s through your cells and all those elements within your body. Everything is just sparkling with light, sparkling with light. As we’re glistening in the Temple, look around the Temple and see all these souls. All of us are glistening, no matter how we came here. It does not matter how long we’ve been existing in these soul bodies – each of us can rejuvenate ourselves through the remembrance. It’s not a memory remembrance of your Mental Mind, it’s a remembrance of your soul’s existence. It’s a flash of Light. It’s a movement that you see around you. It’s that frequency that you can’t express with the Physical Mind. Allowing the mind to relax and just be the expression that you are. This is the Beauty of this moment. So let’s deeply, deeply with our minds eye, let’s just filter this beautiful expression that you have embraced within you, around the Globe. Let’s put it around the Globe and to all those areas that are hurting deeply, to all the areas that have fear that they may be affected by weather conditions and whether they can survive or not survive. Let’s remove with these elements with Sparkles of Light ~ the fear and the agony and all the Hearts in the Hearts and the minds of the men, the women, and the children upon this planet. Let’s take our fingers and we just sprinkle this beautiful light around the planet. We’ll just put it around the Globe and it’s going to filter through all the areas. Just allow it to filter in the deepness of the core of Gaia, allow her to feel it. Allow the animals ~allow the trees ~ the plants ~ the mountains ~ the streams ~ the oceans ~ the rivers to all relax because they are the expression of God. But everything has gone haywire and all the energies of the thought forms, of the lower frequencies are effecting each of them – so we bring to that now, to the Earth and around the Earth. We see this beautiful light expanding around as Crystalline, with speckles of all different colors almost like confetti, swooping around and within the Globe, into the lakes ~ into the rivers ~ the oceans ~ the mountains ~ the deserts ~ the plains and all the areas that need our help so much. With all the disastrous elements that are happening everywhere, let us spread it in all parts of the World. Allow this Light Frequency to go to every part, every nook, and cranny of Dearest Gaia. Breathe with that frequency. Now we just take our fingertips and we give Her the rest of our energies. We bring it back; now, with our minds eye, put your fingertips up and there’s more of this frequency coming down into the Temple. Let us rejuvenate ourselves because, after we do healing, we must always rejuvenate ourselves with the frequency once again. Feel that frequency coming to you. Feel the activation. Feel the beauty of expressing yourself and the love and the sensuality of the experience. This is the beauty that we are, this is the beauty that each of you should embrace because, it is your expression, it is my expression, it is God’s expression and everyone’s expression here. Experience it within each other now, the Light and the Spark that we are. Breathe that into your Solar Plexus, breathe it into your Heart and breathe it into your Thymus -as you feel this beautiful Essence flowing through you. We are the waves of change and with each wave, we come in and we go out. As we come in and we go out. the wave that is about to be expressed in each of you, in these moments of this week, is a new frequency. Allow it to be an easy frequency, allow it to settle within you with these beautiful particles of Light and not the intensity that you have been experiencing. As the frequencies are going to be occurring in this next month, we must be gentle with it. We must allow the frequencies to flow through you and allow them not to center in any one area. Send it to the areas within your body that need the most healing. As the energy has a tendency to go in that space and then when it goes in that space, it takes up all the energies so the rest of your body isn’t able to embrace it. So what we doing is we’re centering it into your Cellular level, your Physical level, your Etheric, your Emotional, your Mental and your Spiritual body – as it all becomes one unit – of beautiful particles all the way through you. Breathe in, breathe that expression – it is the beauty that you are. I see so much beauty within each of you in this moment, and all moments to come. Allow yourself to embrace, allow yourself to express, allow yourself to enjoy, allow yourself to give and allow yourself to receive. That is the balance that is needed. It’s been my pleasure this evening, to work with you in this manner. I am Lady Lakshmi, at your service. Call upon me and I shall help you to bring forth all these elements in balance. Namaste, in the Light that you are, and we are together. I am Lakshmi at your service. This is Fred once again. That was absolutely beautiful Lady Lakshmi. I feel it, deeply, I feel it tingling all the way through my Being, I hope each of you do too. If you want to enjoy more of this, please come and visit us, in the Temple any time, during your meditation or in your sleep. I am Fred, Spokes-Being for the Temple of 911, and I am honored to be here with each and every one of you.